longside the smaller chives makes a beautiful early summer garden composition. They are like tall stemmed, giant lollipops lining the back of my beds! beautiful dried flower arrangements. 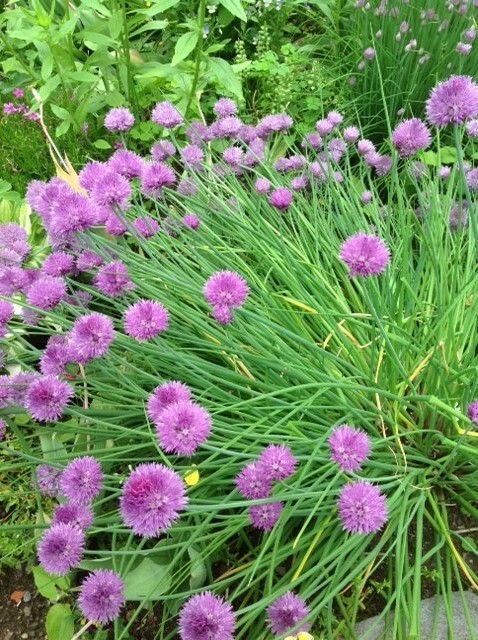 If you want a dramatic flower for the back of your beds allium is a great choice. 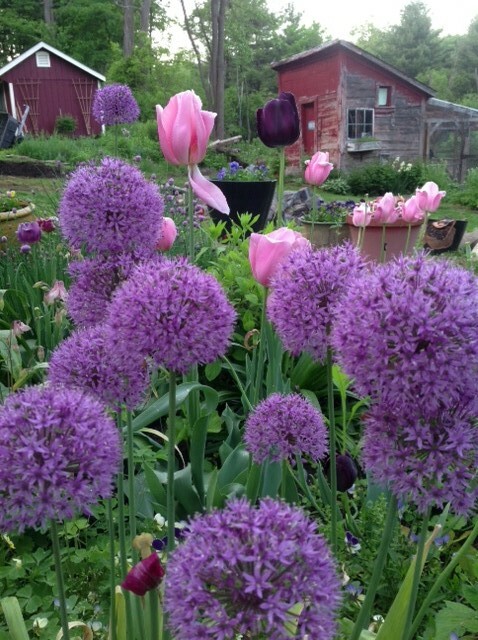 Because they are bulbs it's best to plant them in the fall, so put them on your list! I am still learning how to time my garden so that something is always in bloom, and figuring out how to plant so that larger plants don’t crowd or overshadow smaller ones. That’s one of the beautiful parts of gardening though, there is always something more to learn and experiment with next year. Alliums in black bird bottle set. I'm excited that most of my seeds are coming up in my raised beds, so stay tuned!